On Saturday morning, Priyanka Chopra treated her fans with a click on her Instagram account from her last night's outing. The image featured her partner Nick Jonas, American filmmaker Brian Grazer, celebrity manager Anjula Acharia, among others. Priyanka Chopra’s fiance Nick Jonas looked a bit different in the images thanks to a moustache. 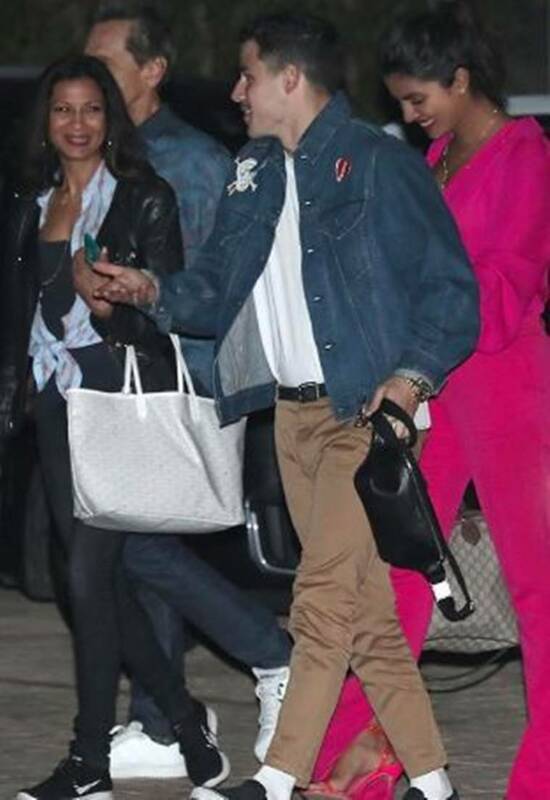 Priyanka Chopra and Nick Jonas had remained tight-lipped about dating each other until they formally announced their engagement in Mumbai recently. Since then, the lovebirds have been on a photo-sharing spree on various social media handles. 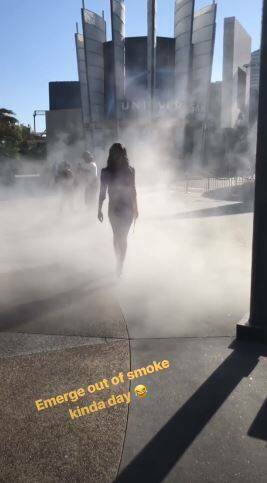 On Saturday morning, Priyanka Chopra treated her fans with a click on her Instagram account from her last night’s outing. “Fun night. Fun people. 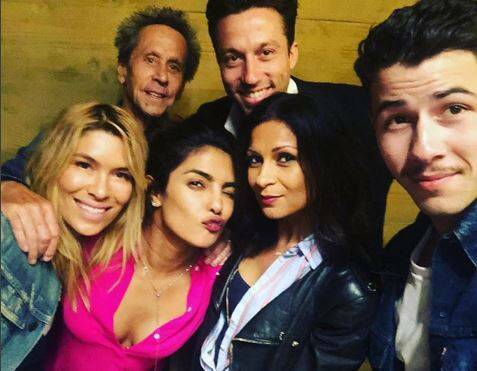 ❤️🎉,” read the image’s caption which featured her partner Nick Jonas, American filmmaker Brian Grazer, celebrity manager Anjula Acharia, among others. 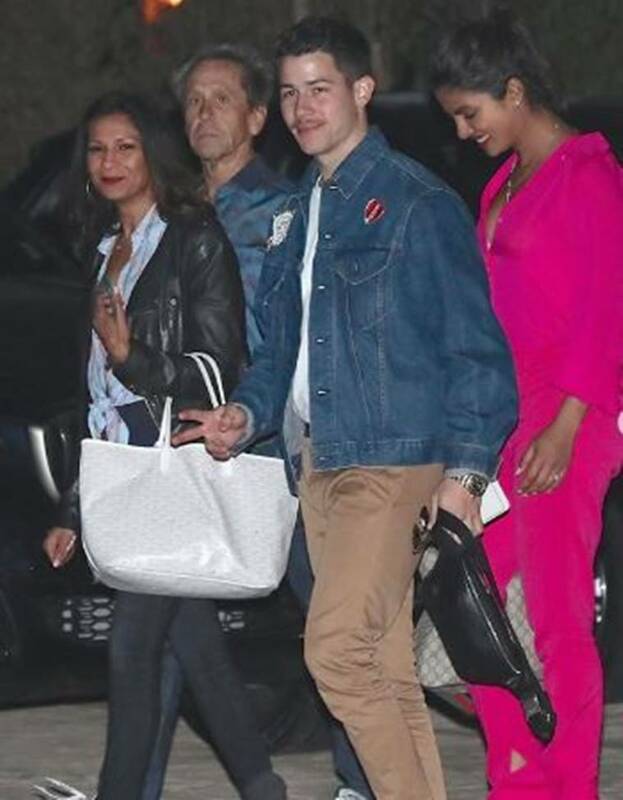 Priyanka and Nick are presently in Los Angeles and the shared pictures say loads about the fun they are having together. The photographs have been taken by Nick Jonas, who looked a bit different in the images thanks to a moustache. Priyanka and Nick are set to tie the knot in October 2018, according to reports.